Pharmabiz Magazine, a part of the Saffron Media Pvt. 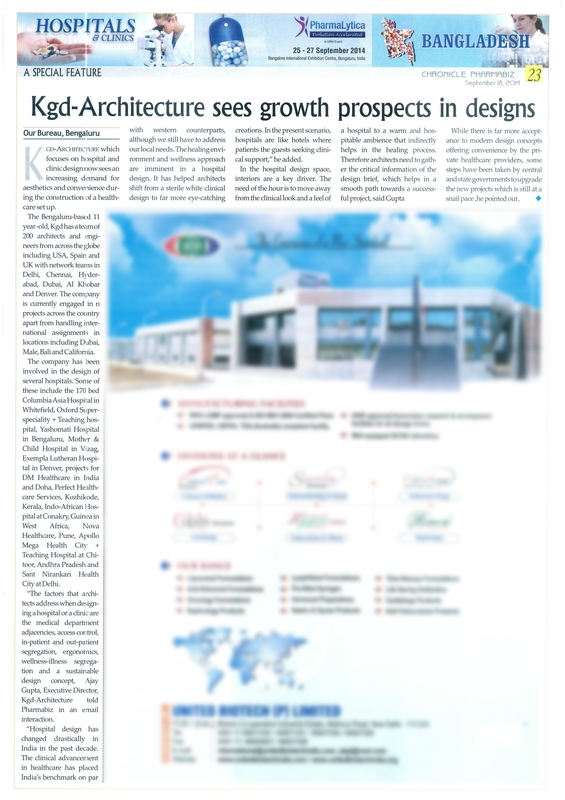 Ltd., in its September issue on Healthcare Infra has covered KGD architecture. The article talks about KGD’s contribution in the field of architecture in both India and abroad. The coverage also accommodates our Executive Director – Ajay Gupta’s view on hospital designing in India.